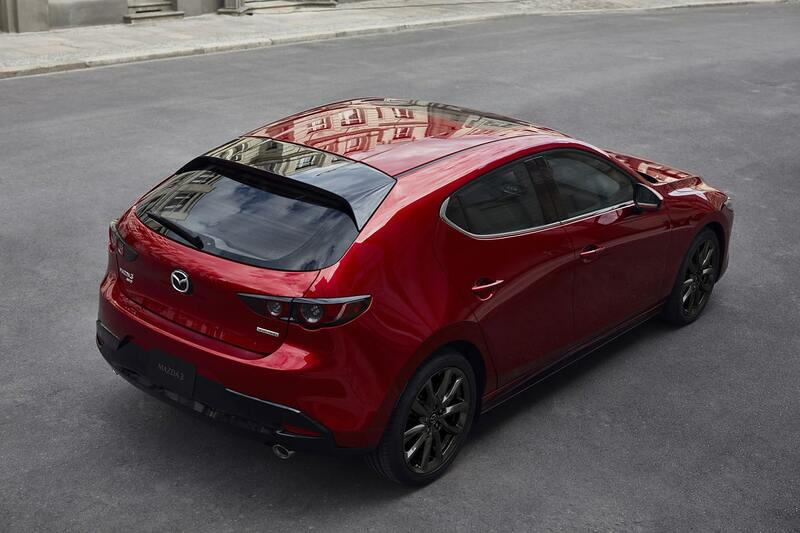 One of the most popular cars of the last Los Angeles Auto Show was the redesigned Mazda3. Available as a hatch, the new 3 will take on some tough competitors including a new Corolla hatch from Toyota. 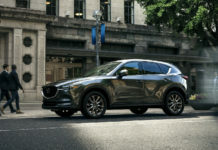 The all-new 2019 Mazda3 lands in the compact car segment ready for battle with a spec and feature list that is almost perfect. 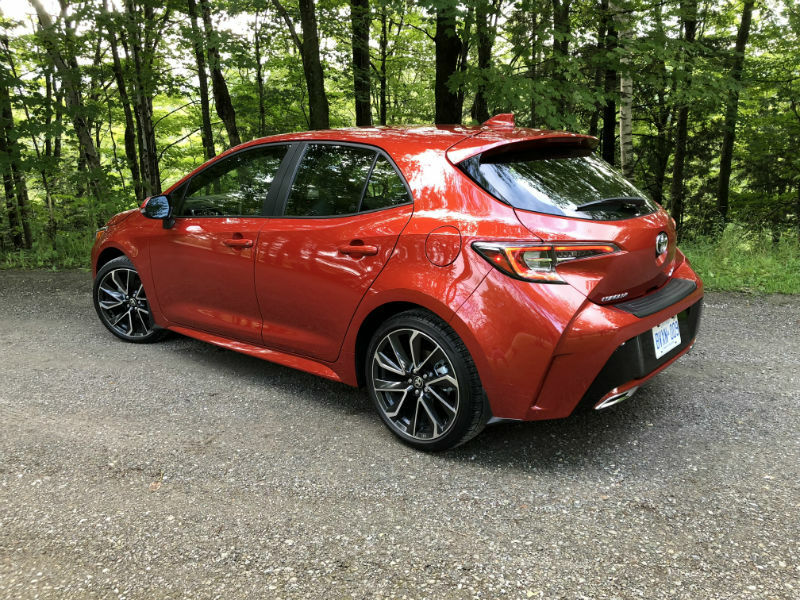 The also new 2019 Toyota Corolla hatchback arrived first however, and it too presents itself as a gem. You’ll have read it many times already and here goes again: The Toyota Corolla is the best-selling car of all times, on the planet. Period. This happened not by chance but because Toyota has demonstrated an uncanny ability to read what their customers want and need. For a time however there was a missing element in the Corolla’s line, and it has returned: the hatchback. 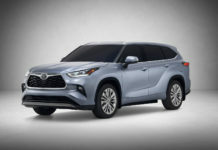 While we all know the Toyota Matrix was all but a Corolla in name, the return of a real hatchback in 2018 for the 2019 model year bearing the legendary name will not go unnoticed. Its $20,980 starting price makes a compelling case for the car. Toyota in not alone in this category though. 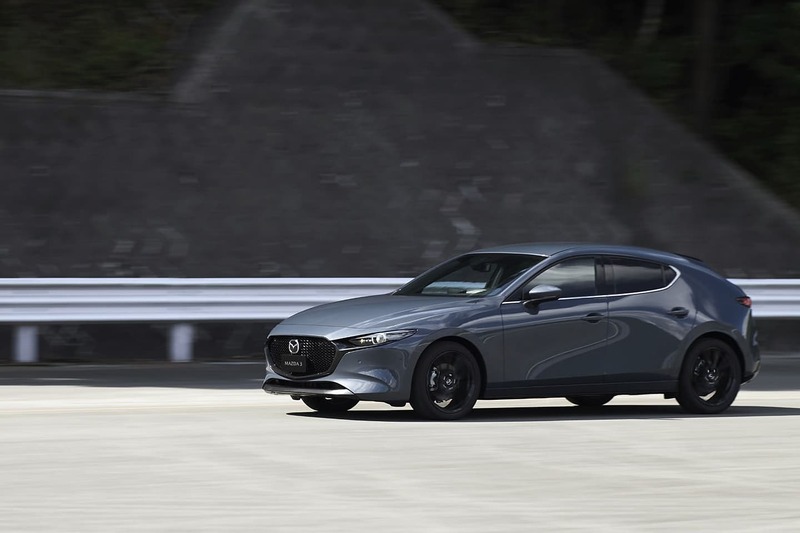 Mazda has long offered a small hatchback and the all-new 2019 Mazda3 Sport is the ultimate expression of what the comparatively small Japanese carmaker does. At $21,300, the Mazda3 Sport combines value, styling and loads more. Let’s now take a quick look at how these two very cool 5-door hatchbacks compare with each other. Toyota has taken a simple route when it comes to powering the new Corolla hatchback. The 2.0-litre 4-cylinder provides the car with 168-horsepower and 151 lb.-ft. of torque. The power is decent, at best, but it’s the transmissions that are especially worthy of praise. The standard 6-speed manual gearbox is “intelligent” and includes rev-matching and an anti-stalling function. The new Direct-Shift CVT is programmed with a 10-speed sequential shiftmatic setup. It also features a Sport Mode and available paddle shifters. On the other hand, Mazda’s opted to keep two engines as part of the Mazda3 Sport’s powertrain menu. The basic 2.0-litre 4-cylinder delivers 155-horsepower and 150 lb.-ft. of torque. 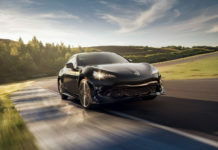 Unlike Toyota, performance enthusiasts have an alternative in the form of a more powerful 2.5-litre 4-cylinder from the GS trim on which ups the speed ante with 186-horsepower and 186 lb.-ft. of torque. There are two transmission choices as well. The basic ‘box is a 6-speed manual and, for a small fee, a 6-speed automatic will do away with the clutch pedal. The major difference and advantage to the new Mazda3 is that with this transmission and the 2.5-litre engine, consumers may now select an AWD drivetrain. 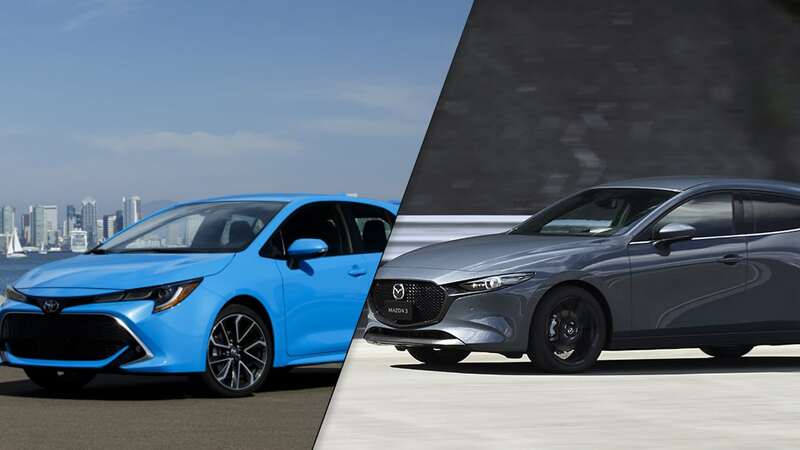 The least expensive AWD Mazda3 Sport retails for $27,000, considerably more than the most affordable 2019 Subaru Impreza hatchback with CVT transmission at $22,195. Another advantage to the Subaru is that AWD is offered with a manual transmission. We’ll compare the two in the not too distant future. Fuel economy is important in this segment. 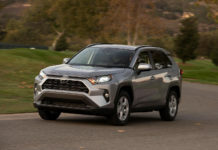 On average, the Toyota returns lower numbers. With the CVT, when driven nicely, it will consume under 7L/100km. All other FWD car from both brands average around the 7.5/100km mark. The AWD Mazda3 inches over 8L/100km. Both the 2019 Mazda3 Sport and 2019 Toyota Corolla hatchback are impressively good to drive. 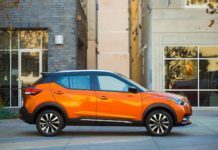 The days of “cheap” and “rickety” compact cars are long gone. The two cars are solid handlers, nimble and impressively rewarding to drive. Their world-class platforms are the reason why these vehicles are as good as they are. There are numerous versions available of both cars in Canada. Historically, mid-trim models typically turn out to be volume leaders. As such, we will concentrate on the 2019 Mazda3 Sport GS with the automatic transmission. 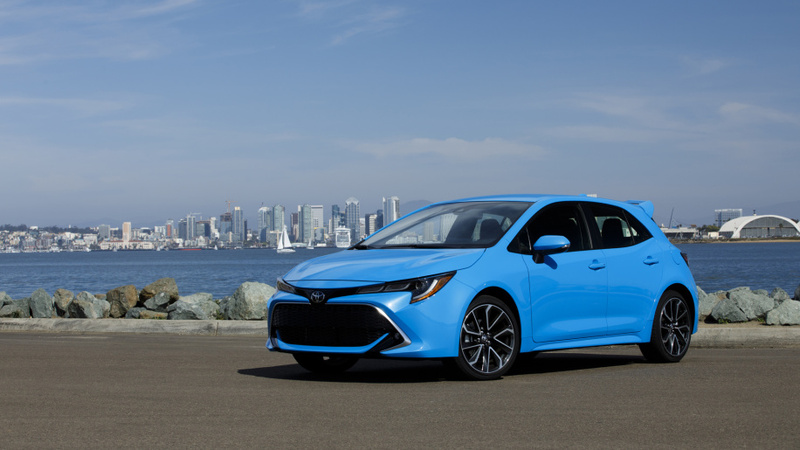 The 2019 Toyota Corolla hatchback will be an SE with Upgrade package and include the CVT transmission. The strategy behind both cars certainly meet. They offer a heated steering wheel, heated seats, smart key with push-button start, and many technologies such as Apple CarPlay and comfort features. The $25,300 Mazda3 Sport allows its stunning exterior styling to do all the work as it rolls on 16-inch alloy wheels, which are far less expensive to replace. Inside, the car greets you with an 8.8-inch screen, a 7-inch instrument cluster display, and Android Auto. By default, the 3 Sport GS also includes the 2.5-litre engine. By contrast, the $24,980 Toyota Corolla SE Upgrade is shod on handsome 18-inch wheels. 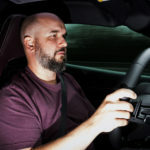 The cabin provides an 8-inch screen, a 4.2-inch instrument cluster display, power driver seat with power lumbar adjustment and a wireless charging station. On the safety front, both are loaded with gadgets such as forward collision warning, automatic emergency braking with pedestrian detection, lane departure warning with steering assist, automatic high beam and road sign assist along with radar cruise control. And what about space? Neither the Corolla Hatchback nor the Mazda3 Sport offer the most spacious trunk in their segment. That honor would go to the Honda Civic Hatchback. That said, the Mazda offers a little more cargo space than the Toyota and is the more versatile of the two. We love the new 2019 Toyota Corolla hatchback. Even so, its limited flaws are considerable. The first is a complete lack of useable space to accommodate two normal adults in the 2nd row. The boot is equally small certainly limiting the Corolla’s utility aspect. 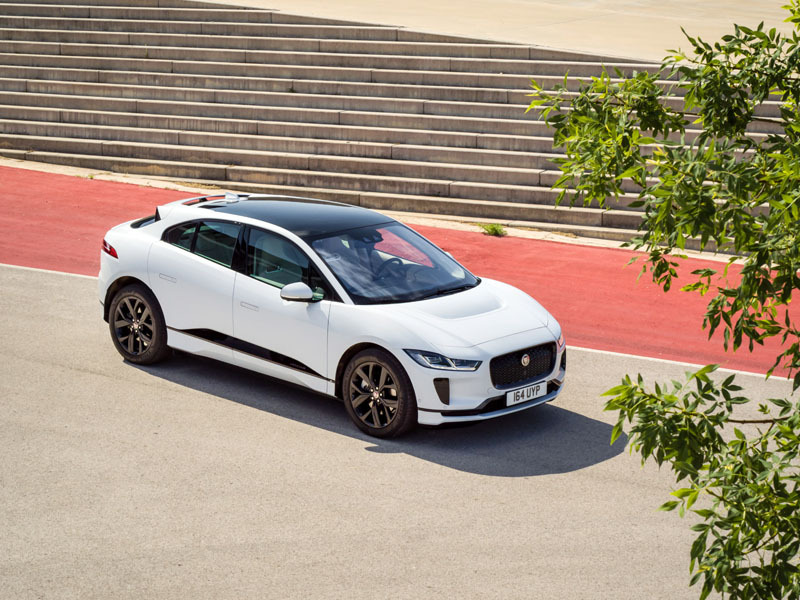 The other issue is with the “Dynamic Force” 2.0-litre engine; its power is miserly whenever the driver wants to exploit the car’s superb new chassis. No matter how attractive the new Corolla hatchback may be, this latest generation of Mazda’s best-seller (6-million units) is jaw-droppingly elegant and sensual. It needs no ornaments or details, it just is. Throw into the mix a more upscale-looking cabin, a bigger boot, more room for rear passengers and that 2.5-litre and well, you have the car we’d sign on the dotted line for. The new Corolla is fantastic. The new 3 is fantastic-er. Now all that’s left to do is drive the new Mazda3 to see if what we see on paper is what we actually get.